Der Dreh- und Angelpunkt des Europäischen Zivilprozessrechts, die Brüssel I-Verordnung, wurde umfassend reformiert. 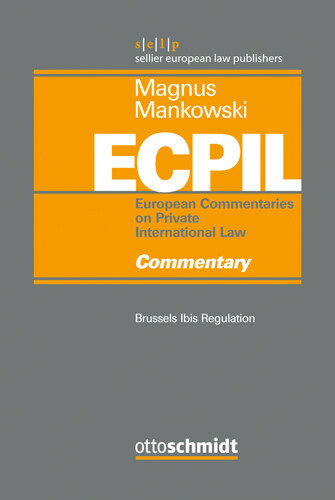 Das englischsprachige Werk kommentiert in der Reihe „European Commentaries on Private International Law“ erstmals die neue Brüssel Ia-Verordnung (= Brussels Ibis Regulation) mit den wichtigen Neuerungen. Das Autorenteam setzt sich aus renommierten Rechtsexperten aus ganz Europa zusammen. Die Rechtsprechung des EuGH findet besondere Berücksichtigung, so dass der Kommentar ein unerlässliches Handbuch für jeden darstellt, der im Internationalen Zivilprozessrecht tätig ist. Für international tätige Anwälte mit Sitz in Deutschland bietet sich der Vorteil, den Kommentar ohne Übersetzungsaufwände zitieren zu können. Hinweis: Das Werk erscheint auf Englisch. The Brussels Ibis Regulation is to become by far the most prominent cornerstone of the European law of international civil procedure. Its imminence can be easily ascertained by every practitioner even remotely concerned with cross-border work in Europe. However arcane private international law in general might appear to practitioners – the Brussels I Regulation was a well-known and renowned instrument and the Brussels Ibis Regulation will become so as its proper heir. The so called Brussels system has proven its immeasurable and incomparable value for over forty years. The European Court of Justice and the national courts of the Member States have produced an abundance and a treasure of judgments interpreting the Brussels Convention and the Brussels I Regulation. The effort of completing a truly pan-European commentary mirrors the pan-European nature of its fascinating object. This commentary – which of course covers the jurisprudence of the ECJ in a comprehensive manner – assembles a team of very prominent and renowned authors from all over Europe. The authors’ geographical provenience stretches from Denmark in the North to Italy in the South and from Portugal and the United Kingdom in the West to Austria in the East. Now the time is ripe to start such an enterprise. 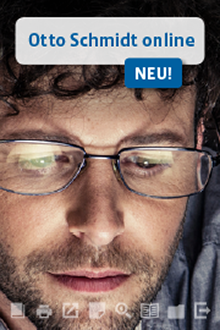 Herausgegeben von Prof. Dr. Ulrich Magnus, Prof. Dr. Peter Mankowski. Bearbeitet von Alfonso-Luis Calvo Caravaca, Javier Carrascosa González, Gilles Cuniberti, Carlos Esplugues Mota, Richard G. Fentiman, Stéphanie Francq, Thomas Garber, Helmut Heiss, Xandra Kramer, Luís de Lima Pinheiro, Ulrich Magnus, Peter Mankowski, Horatia Muir Watt, Peter Arnt Nielsen, Guillermo Palao Moreno, Marta Pertegás Sender, Illaria Queirolo, Pippa Rogerson, Isabelle Rueda, Patrick Wautelet, Paul Vlas. "une véritable encyclopédie du règlement Bruxelles I bis"